Nia Griffith MP is delighted that Parliament has moved a step closer to ensuring improved access to cheap and effective drugs. Currently, drugs whose patents have expired, and which have been shown to be effective for different purposes to the one they were originally intended for, are not made routinely available in the UK. This is because they are not approved for the new use. 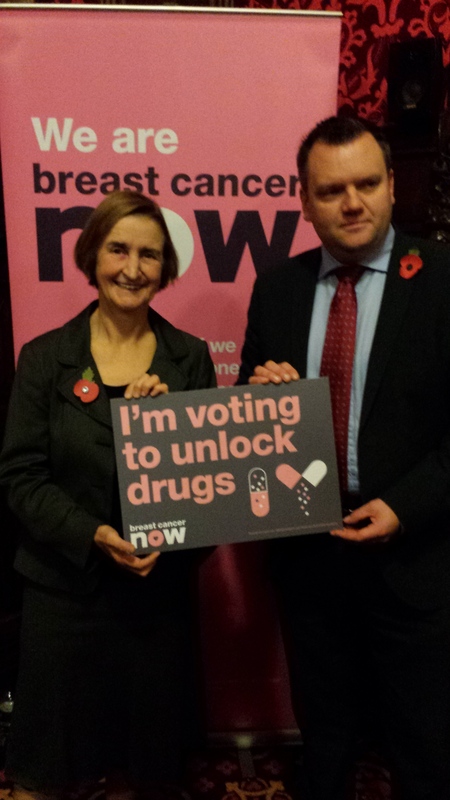 Nia has been supporting Torfaen MP Nick Thomas-Symonds’ Off-Patent Drugs Bill – which would have tackled this issue. Frustratingly, the Bill did not continue past its second reading in November, as it was ‘talked out’ by the Government. However, Nick Thomas-Symonds has since led efforts to use another Bill, the Access to Medical Treatments (Innovation) Bill, to secure important measures on off-patent, repurposed drugs. Last Friday, two amendments on this issue were passed and Nick obtained commitments from the Government to take forward a number of non-legislative steps to ensure that repurposed drugs are prescribed on a more consistent basis right across the UK. The Bill will now be considered by the House of Lords. This issue is particularly important to Nia because it was a local MS sufferer, Mr Andrew Barnett of Llangennech who first brought to her attention the difficulty that patients were having in obtaining the off-patent drug, Low Dose Naltrexone.